Software developers don't work in a bubble. Whether they're in adjacent cubes or adjacent time zones, developers must communicate efficiently to ensure project success. 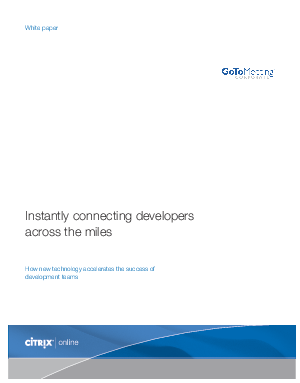 This new white paper examines the key challenges remote developers and teams face while exploring the advantages of leveraging an online collaboration solution to instantly connect, eliminate travel and expedite projects.